Scott Vazin is filling the top comms role vacated by Tony Cervone, who left to rejoin General Motors last month. 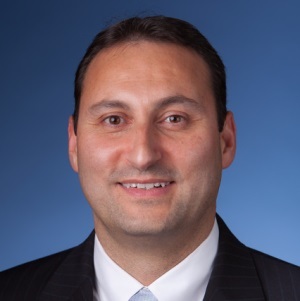 HERNDON, VA: Volkswagen Group of America has upped Scott Vazin to EVP of group communications, the top comms position at the automaker, after Tony Cervone left to rejoin General Motors last month. Vazin, who most recently served as VP and CCO, started in the role on June 1. He continues to report to Volkswagen Group of America president and CEO Michael Horn and oversee a team of ten staffers. The role is a consolidation of Vazin’s previous responsibilities as VP and CCO and Cervone’s former role of EVP of group communications at Volkswagen. Cervone left Volkswagen last month to join GM as SVP of global communications, its top comms role, as the company responds to the crisis caused by a 10-year delay recalling Chevrolet Cobalts with faulty ignition switches. Cervone reports to CEO Mary Barra at GM. "I have the same title [Cervone] had, but the role includes responsibility of the Volkswagen brand as a day-to-day responsibility, as well as oversight of group communications," Vazin explained. He is leading all aspects of corporate communications for the Volkswagen group and Volkswagen brand, including corporate media relations, product communications, all PR campaigns, internal communications, community partnerships, and philanthropy. Vazin has worked at Volkswagen since March 2011, when he joined as VP of communications. Prior, he was director of product and consumer PR for Nissan North America and GM of corporate communications for Nissan Europe, according to his LinkedIn profile. He started his career in automotive communications at Mitsubishi Motor Sales of America in California in 1990.